Ida B. Wells — Happy Birthday Today! Her call to speak out against lynching had come just two years earlier, when a Memphis mob murdered her close friend and neighbor Thomas Moss. The incident started as a dispute among white and black boys playing marbles, but it quickly evolved into an excuse to murder Moss, a successful businessman who was drawing patrons away from a nearby white grocer. Wells was an orphan and a poor, single woman who supported her younger brothers and sisters through teaching and journalism. She recognized that “my good name was all that I had in the world,” yet she would not be silenced. Wells used words to fight white Southern lynch mobs, an indifferent white Northern public and, sometimes, black critics who felt that her outspokenness undermined their agenda. Southern white supremacy was cruel and crazy, and she was the rare person who could see beyond the cultural insanity in which she was immersed. For that she paid dearly. Paula J. Giddings tells several larger stories as she narrates Wells’s life. Foremost among these interventions is a history of lynching and opposition to it. She spares no details as she tracks the development of spectacle lynchings at the turn of the century, when lynching became a premeditated act, hundreds of people converged on the scene, and the mob sometimes tortured the victim all day before killing him or her in the evening. In exploring Wells’s early life — she was born to enslaved parents in 1862 in Holly Springs, Miss. — Giddings also paints a rich portrait of black life during Reconstruction. She movingly recounts dashed African American hopes in Tennessee in the 1880s and ’90s as white Southerners tightened segregation. Wells, for one, refused to accept it. When told to move to a blacks-only train car, she refused, bit the conductor as he threw her off the train, filed suit against the railroad and won $500 in damages. Finally, Ida becomes a national history as Giddings skillfully recounts the great migration of Southern African Americans to Northern cities in the first decades of the 20th century. Wells moved from Memphis to New York to Chicago, where she married attorney Ferdinand Lee Barnett Jr. in 1895. There she confronted a new set of problems as a social worker and neighborhood organizer, but she also gained a modicum of power through local politics and women’s suffrage. Giddings describes the tensions within the black women’s club movement, which fought locally and nationally to ameliorate Jim Crow, and excels in portraying the sexism of black male civil rights activists and their white allies. Despite a long and influential career in journalism, social work and politics, Wells has not received the recognition she deserves. She left an unfinished autobiography, and other authors have dealt with her activism in various contexts. Giddings set out to write a definitive biography and has succeeded spectacularly. 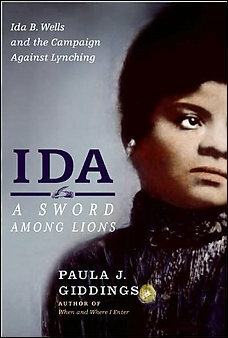 Ida gradually brings us to see the world through Wells’s eyes; as she shops for a new seersucker suit that we know she can’t afford or feels betrayed when fellow activists try to leave her off the list of founders of the National Association for the Advancement of Colored People, we come to love this brave and wise woman. 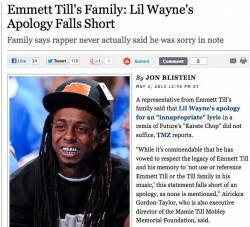 Read it and weep. Then give it to the last person who told you that ideals are a waste of time. Wells’ life and social thought are important examples of taking race and gender into account simultaneously. She was described, which is only obvious to a nitwit, as not being “the best representative of Latin beauty.” Simply put, Jakiyah, who has Dominican roots, was too Black for the competition. But do not worry, justice will prevail. All will be put to rest, and the crown will be returned to the rightful owner. That is . . . . once the parents provide proof that their daughter is 25 percent Hispanic. Too bad that she will have some trouble with this task since her undocumented Dominican grandmother is deceased. Interestingly enough, participants are normally taken at their word relating to their heritage. But why was this same courtesy not afforded to Jakiyah? Let’s start by being honest with one another. Beauty has truly and overwhelmingly throughout the history of the world been defined by White. In fact, within disproportionate segments of the world, whiteness is the definition of beauty. This may be why more Latinos than in previous years, self-identified themselves as White within a 2011 Pew National Survey. With the help of commercials coaxing you to purchase over-processed foods, to the high falutin’ and over-priced designs placed upon the emaciated bodies of those walking the runways of New York to Malian, the image is crystallized. No matter the social class or ethnic lineage, we as a society sway back and forth due to the white snake charming effect. For some, the effects are heartbreaking. The 2013 documentary, Dark Girls, highlights the prejudices experienced by dark-complected women throughout the world. This is clearly another example that proves the existence of a white racial frame within the 21st century. I am confident the spirit of the Brown Bag test (used by a number of Black sororities and fraternities to stop darker skinned Blacks from admission), segregation within businesses, churches, Black colleges, preparatory schools, or the previous Charles Chestnutt’s Blue Veins Society are still alive today within our society. In fact, the lyrics of the classic blues singer, Big Bill Broonzy, “They said, if you was white, you’d be alright, If you was brown, stick around, But as you is black, oh brother, Get back, get back, get back” are still prevalent and relevant to the discussion relating to little Jakiyah. Latinos are not exempt from being poisoned by the prevalence of white racism. Patricia Hill Collins, discusses domains of oppression (e.g., gender, class, race, sexual orientation, religion), and how they are all interconnected. Even though each domain differs regarding social categorization, they still remain connected through the same confrontation of oppressive challenges. At times, they may even overlap. Importantly, due to a particular social location, one who is oppressed may instead become the oppressor. In the case of the Miss Chiquita Delaware competition, it is clear who is oppressing and who is oppressed.